On their 50th anniversary, Uratex is launching a very meaningful corporate social responsibility program called Project 50. The innovative sleep solutions provider is set to donate 2,500 mattresses to nursing homes and hospitals nationwide. Uratex is giving back to its consumers by providing its quality products to organizations that can benefit from them the most. Among its recipients is the Care for the Elderly Foundation Inc., Home for the Aged in Mindanao which received 50 mattresses for its members. Quality and comfortable mattresses prove to be very crucial for the comfort of the elderly in nursing and retirement homes. 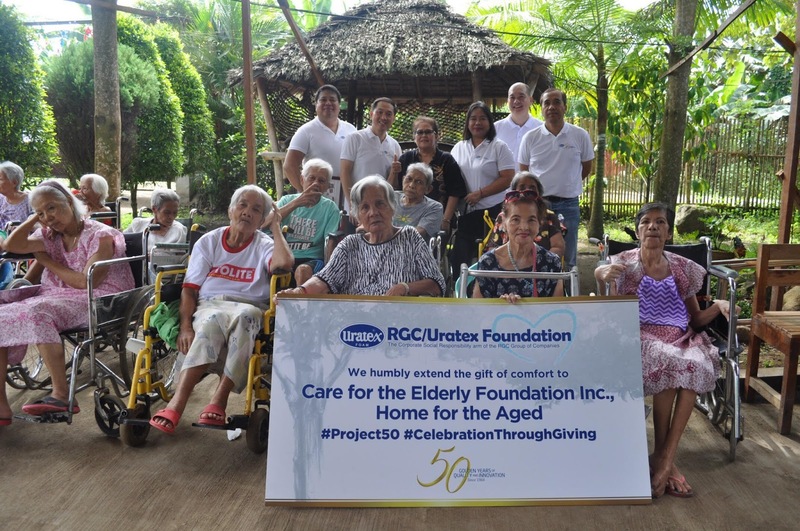 Uratex and the beneficiaries of the Home for the Aged shared a heartfelt moment when the recipients expressed their gratitude for the donation. The CSR Project will provide 50 mattresses each to the other institutions Uratex is set to visit around the Philippines. For more information of Project 50, visit Uratex here.